Welcome to Slantsixgames containing answers to Wordscapes Puzzles, this specific post includes answers to Wordscapes Level 4958. 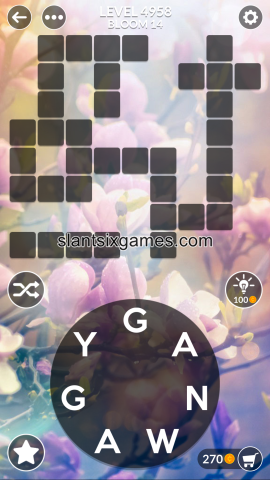 This level is also known as Bloom 14 and it falls under Flourish Category. You can go to Wordscapes Slantsix Page master page to find answers to all the levels. If you need help with other Bloom Levels, click the link to proceed.